Lionel Messi marked his return to the international stage with the winning goal as Argentina defeated Uruguay 1-0 in Thursday's World Cup qualifier in Mendoza. The Barcelona star, who hung up his international boots in June only to reverse his decision last month, netted three minutes before half-time to settle the contest and give coach Edgardo Bauza a winning start to his Argentina reign. Argentina retained their slender advantage despite playing the entire second period a man down following the dismissal of Juventus forward Paulo Dybala on the stroke of half-time. Messi controlled the ball and made room for a shot on 42 minutes which found the back of the net via a deflection off Uruguay defender Jose Gimenez. It was his 56th goal for his country, and there was little Uruguay goalkeeper Fernando Muslera could have done about it. The home team's momentum was stalled shortly after by the dismissal of Dybala, who was shown a second yellow card for a soft foul on Mathias Corujo. 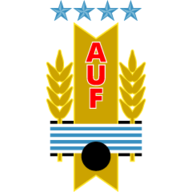 But Uruguay failed to capitalise on their numerical superiority, with striker Luis Suarez starved of decent service and Argentina goalkeeper Sergio Romero not unduly troubled. 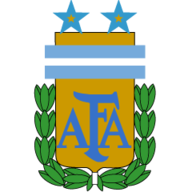 The win moved Argentina to the top of the CONMEBOL qualifying standings - a point ahead of Uruguay, Colombia and Ecuador - after seven games.